Met up friend at Holland V but everywhere was full or had queue and we don't want to waste our time as we were hungry. Thai Express was our choice. It had been quite a while I dine in this Thai restaurant. I found that the menu has changed and price increased. I had Thai Sukiyaki ($11.3++), this is new added item compare with the old menu. 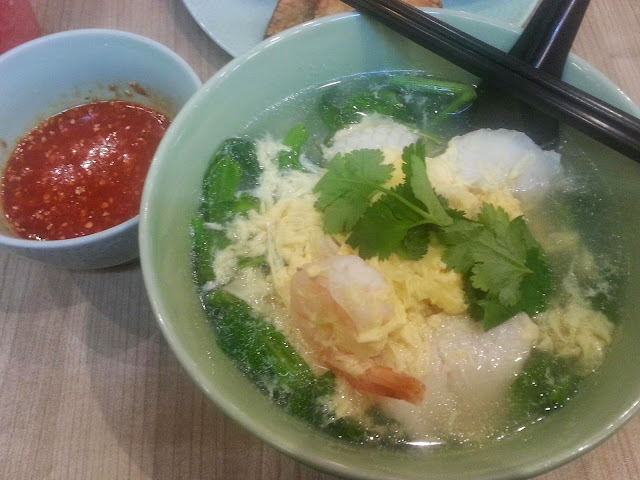 I was wondering whether it is the same as the one I always love to order at Thai stall near my office. The lady kindly told me that it will be very spicy and we requested the sukiyaki sauce to be serve separately. I will add accordingly to my comfort level. My friend had Pineapple Fried Rice ($11.90++). It seems alright to him. 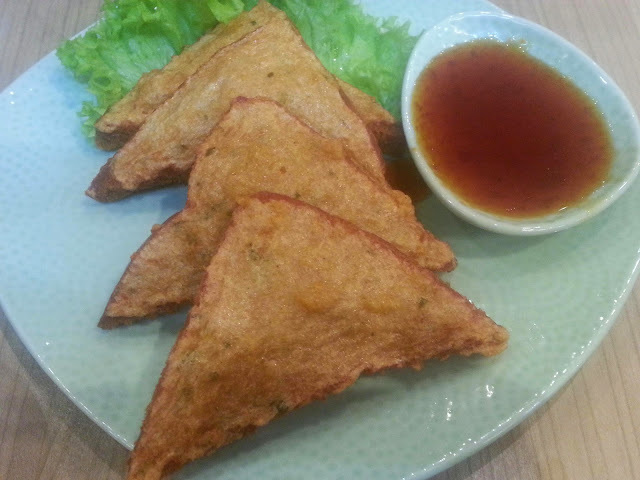 We shared Prawn Toast ($8.9++). 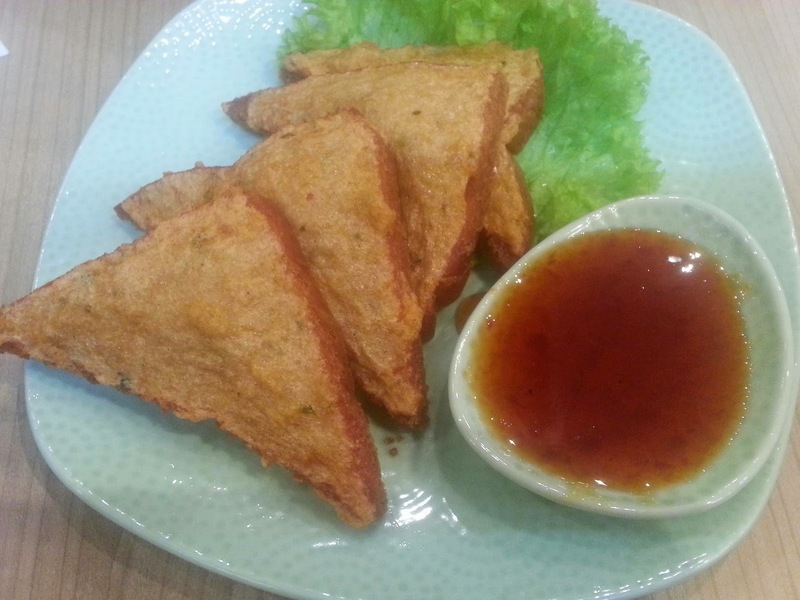 It is prawn paste on toast and deep fried. Tasted good. 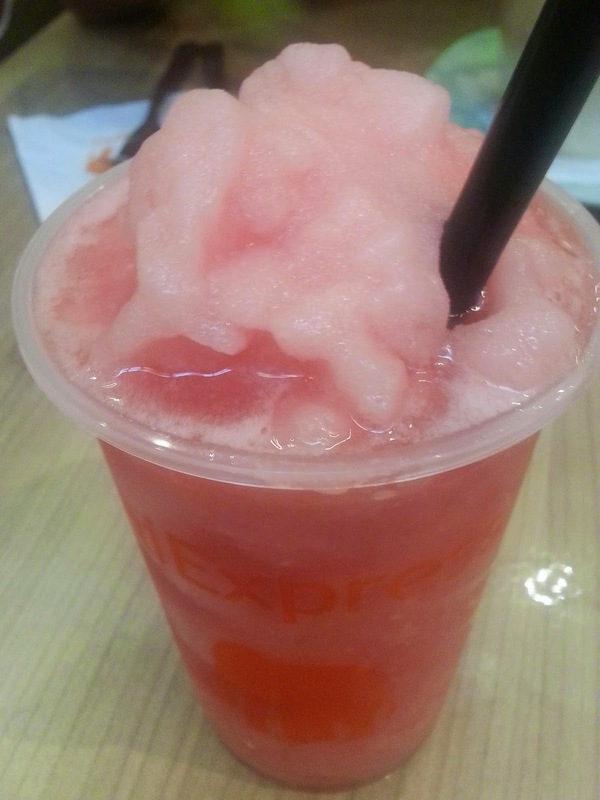 I had Watermelon Lime ($6.2++) as it said can't best to go with spicy stuff. I didn't feel much lime taste. But it is refreshing. My friend had Coconut Drink ($6.2++). Coconut is really expensive in Singapore.